Elijah Craig 18-Year-Old Single Barrel Bourbon is bottled solely from one barrel hand-selected by Master Distillers Parker and Craig Beam, not from the mingling of many barrels, which is the practice for standard and Small Batch Bourbons. Elijah Craig 18-Year-Old Single Barrel Bourbon is the oldest Single Barrel Bourbon available in the world. 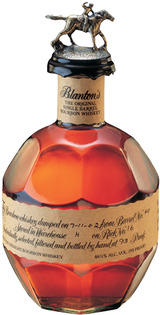 Only a handful of the millions of barrels of Bourbon aging in Kentucky have been allowed to mature this long. The brand carries the name of Rev. Elijah Craig, the man who discovered the method of making true Kentucky Bourbon when he stored his wares in barrels that had been charred in a fire. The nosing passes find lovely fragrances of baked pears, peach, caramel corn, hazelnut, newly tanned leather, baked pineapple and nougat. The palate entry is long, luxuriously textured, nutty and semisweet; at midpalate deep flavors of vanilla extract, oak, honey and sugar maple are added. Ends with finesse. 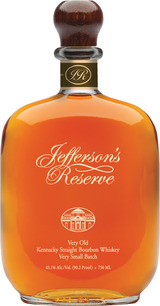 Sensational and one of the benchmark single barrel bourbons available.